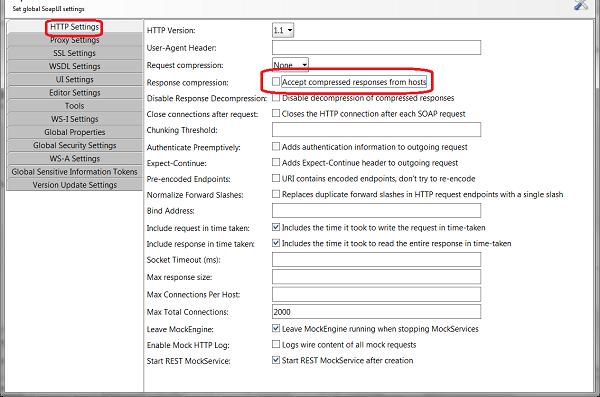 How to turn off HTTP response compression in SoapUI? HTTP response compression reduces the data size and improves Website performance. But it makes the test job difficult. You can follow this tutorial to turn off HTTP response compression. 1. Click "File > Preferences". You see "Set global SoapUI settings" window. 3. Click "OK" to save changes.